Magic Penny Reading - Early Literacy Products and the Magic Penny Early Literacy institute. A literacy solution that truly works. Early literacy beginning at age 3 and help for struggling readers at any age. Easy to use for individual or classroom literacy instruction. Magic Penny is a leading global provider of educational literacy products and training solutions. We develop comprehensive instructional programs focused on early literacy development in Pre-K through Grade 2 students. Our books, teachers' guides, multimedia aids, games, and skill books give teachers the tools they need for literacy success. Our programs bring parents, teachers, and students together in working to achieve literacy success. 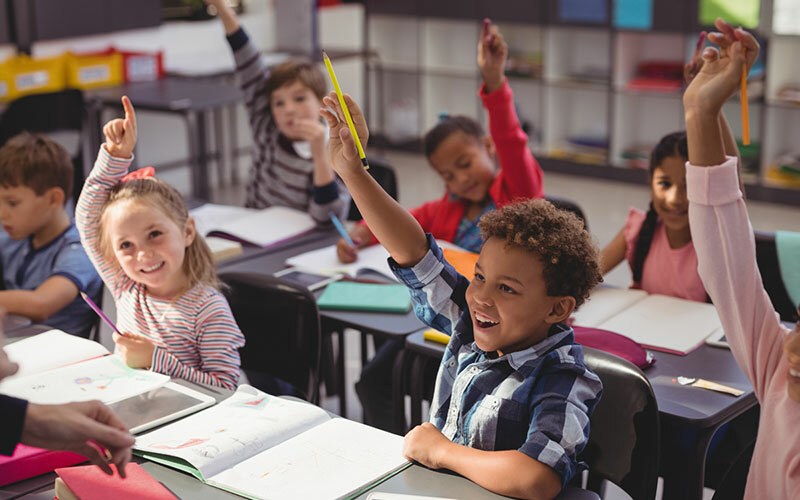 Founded by classroom teachers with a rich tradition in classroom success, Magic Penny is dedicated to ensuring that all students have to tools and the ability to reach their full learning potential. Our Program takes children step-by-step using developmentally appropriate teaching methods. Each step trains the child's brain to do one of the tasks that will be expected when the child reads. 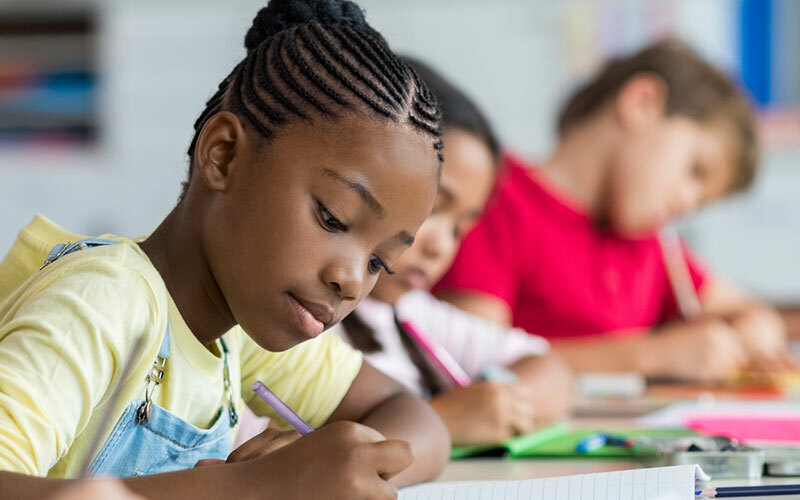 Each step is developed with a game or enjoyable activity that enables a child to develop the important brain connections for reading success. Every Magic Penny step is sequential and builds upon skills developed in the step before. See How Magic Penny Works! Markel is in a Magic Penny Pre-K. He and ALL of the 18 children in his class became readers BEFORE Kindergarten! Read what people have to say about Magic Penny! "I consider this program a gift to give my primary students and hold this program in high esteem due to the results it was able to drive in my students. I maintain the belief that this program can change the trajectory of lives." "I am a Pre-K teacher at Hillery Park Elementary School in Buffalo, New York...I have developed a great respect for the developmentally appropriate and sequential Magic Penny Reading Program over the past three years..."
"I'm going to tell everybody I know about Magic Penny, I just can't say enough....We are really thankful that he had this opportunity to go through the Magic Penny program (in Kindergarten) and again, thank you very much." If you want to request an account, please do so here. "As the Assistant Superintendent for Curriculum and Instruction, I was able to see the Magic Penny Early Literacy Program in action. I witnessed PK and Kindergarten children decoding in the second semester of the first year of implementation. Sandy Schneider, the originator of the program came out and did several staff trainings on the effective use of the program as well as a district-wide parent training to support our early literacy efforts at home. The level of support made available to my staff was exceptional. I cannot say enough about the Magic Penny Early Literacy Program. It is perfect to use during differentiated time and supports what is occurring in the core reading program in a very systematic and logical progression. It builds on the five pillars of literacy and students learn sounds as they learn sounds in language. 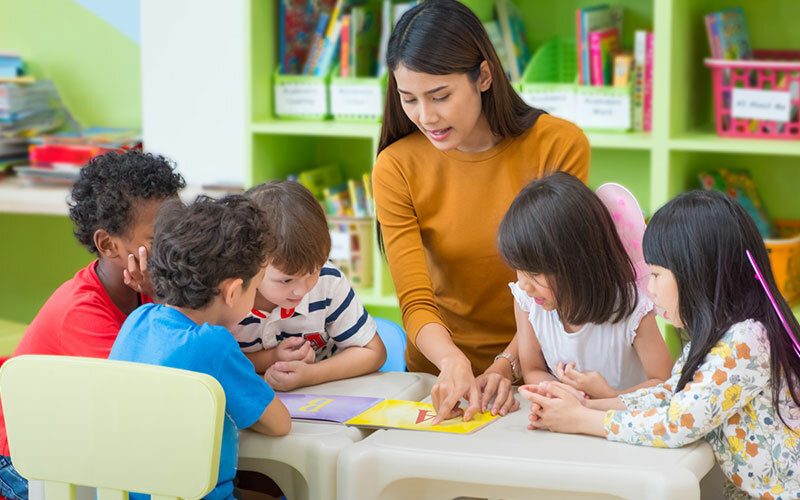 The program incorporates a daily monitoring component so that the teacher knows student performance in their phonemic awareness and early literacy skills every day. Adjustments in groupings can occur flexibly, as well as additional sessions are provided to students who struggle the most. During the year Magic Penny provided a Beginning, Middle, and End of the Year Assessment to monitor groupings and progress. Scheduled visits were frequent to assist classroom teachers with questions in implementation, or just to help with any struggling students. We also participated in End of Year meetings with other Magic Penny teachers and schools to discuss the program and ideas. I consider this program a gift to give my primary students and hold this program in high esteem due to the results it was able to drive in my students. I maintain the belief that this program can change the trajectory of lives in removing the barrier of reading difficulty and school performance by programming children to listen and decode with early reading success, making school more joyful, happy, successful, and exciting for children." "I am a Pre-K teacher at Hillery Park Elementary School in Buffalo, New York. My teaching career began in 1981. With my age and experience, I have observed and utilized a full gamut of programs claiming to be able to facilitate a child’s need for masterful reading skills. I have developed a great respect for the developmentally appropriate and sequential Magic Penny Reading Program over the past three years. Dr. and Mrs. Schneider have created an exciting array of activities for the teacher and assistant to use with the entire class, with a small group, one-on one with an individual student, parent and student, peer tutoring style, and for the students to work independently. This multi-faceted approach allows the student many opportunities to master a skill without becoming frustrated or disheartened. The Magic Penny Alpha Animals on DVD is a particular favorite of the children and mine. The children enthusiastically sing along with Dr. Dan and learn the proper phoneme sounds. Working together on the Interactive Whiteboard with the magnificent Magic Penny Reading App and flipcharts provide motivating, productive, and successful experiences. Students are grouped for differentiation from Magic Penny pretest data. This data also determines the literacy activities that the students will practice, both when working with the classroom teacher and the teacher assistant or on independent activities. Students are divided into four groups, so each adult works with two groups daily for 15-20 minutes while the other students are working independently at literacy stations. Therefore, all students are serviced by an adult in a small group setting each day. The Daily Monitoring Log is used for daily progress monitoring during small group literacy activities. The groups are color-coded based on skill development for classroom management purposes. The objective is coded as having achieved one of three results; 100% accuracy or 80%+ accuracy or less than 80% accuracy. Depending upon the activity, students will progress to the next more complex skill once they have attained at least 80% accuracy. This differentiation management tool allows for students in need of additional remediation on a particular skill(s) to get extra practice, if needed, on the fun-filled Magic Penny Apps. Here it is- December of Pre-K. The sounds of the twelve letters presented in Level A have been mastered by nearly all of my three and four year olds. All of the groups are successful at reading and spelling three letter words. The “Top 6” are really reading the first book in the series, Pam and Sam. I eagerly anticipate very high scores at mid-year. MOST IMPORTANTLY, THESE BEAUTIFUL MINDS ARE EXCITED ABOUT READING!" "With our son, we decided to have him do two years of pre-K, so he came in a year older. We didn't feel that he was ready for kindergarten, he would have been a young Kindergartner. When he was in Pre-K, he had a Special Ed itinerant teacher working with him. He also had a speech teacher working with him twice a week; she was working on speech and language with him. When he aged out of services in our local district, we would drive him down to Geneseo twice a week for Speech Language services. We worked with him every day at home (during the school year) and I worked with him every day last summer. My husband even bought a kit to teach your child how to read at home and we still had not had any success. He came into kindergarten screening knowing four letters. When they did the Magic Penny pre-test he scored 13 (mother cries)... when he just took it again he got a 97. Now he's 'at level' with reading. We just can't thank you enough. The fact that you came here and you did this... between Jackie, his teacher, and having Sandy Schneider here helping... I'm going to tell everybody I know about Magic Penny, I just can't say enough. I think it's a program that can teach so many people with the sounds.... he doesn't even need to know 'sight words' he just knows what a word says. He writes me notes; he writes my husband notes. It's fantastic; we just can't say enough. I don't know where he would have been headed in his school career if it had not been for this program. He came into Kindergarten a very discouraged and sad young man...."(mother cries). Father continues: "We are really thankful that he had this opportunity to go through the Magic Penny program (in Kindergarten) and again, thank you very much."